Songs are a fun and engaging way to teach kids about dental care, helping them retain information on a range of topics. Now you have the opportunity to introduce these subjects to young patients with the musical help of Dudley the Dinosaur. In the ADA streaming video Dudley’s Grade School Musical, Dudley and his friends audition for a tooth-themed musical at their grade school. Along the way, they sing many catchy songs about oral health. Each Dudley video you purchase is instantly accessible through your online ADA e-bookshelf. To learn more about the entire Toothflix video series, visit ADA.org/toothflix. 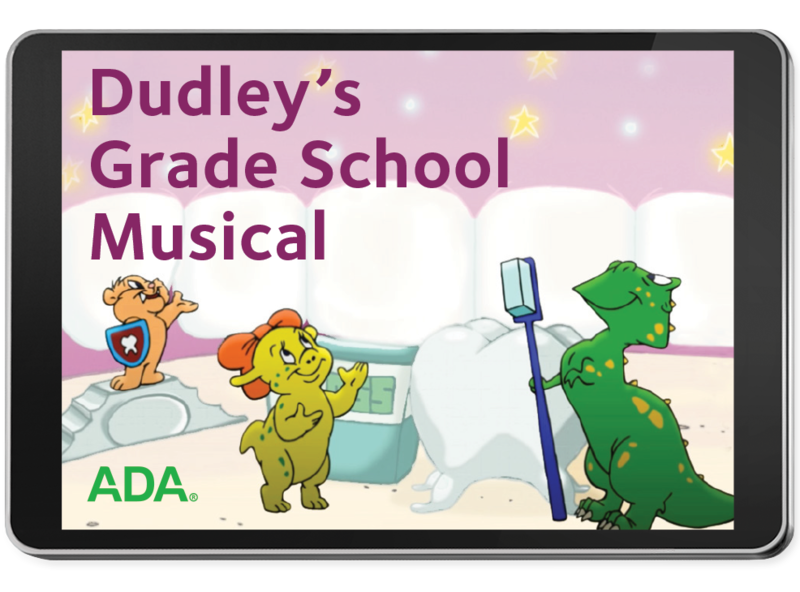 To help your young patients learn the importance of proper oral health in a fun and engaging way, get your copy of Dudley’s Grade School Musical – ADA streaming video today!